I can’t help it, the benefits are just that good. Everything from acne to digestion can benefit from a little dry brushing. 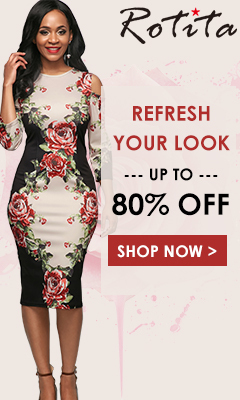 And dry winter skin? It doesn’t stand a chance. But to be fair, it’s not just the brushing that has revamped my skin. I rely on a super simple skin-soothing routine to revitalize tired, flaky skin and lock in moisture. 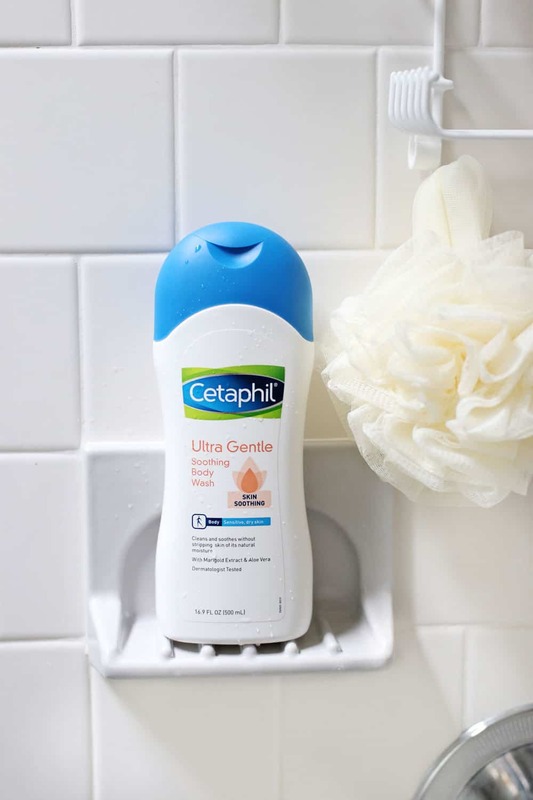 Simply slough away dry skin cells, nourish with Cetaphil® Ultra Gentle Body Wash (I use it in both Fragrance-Free and Soothing!) 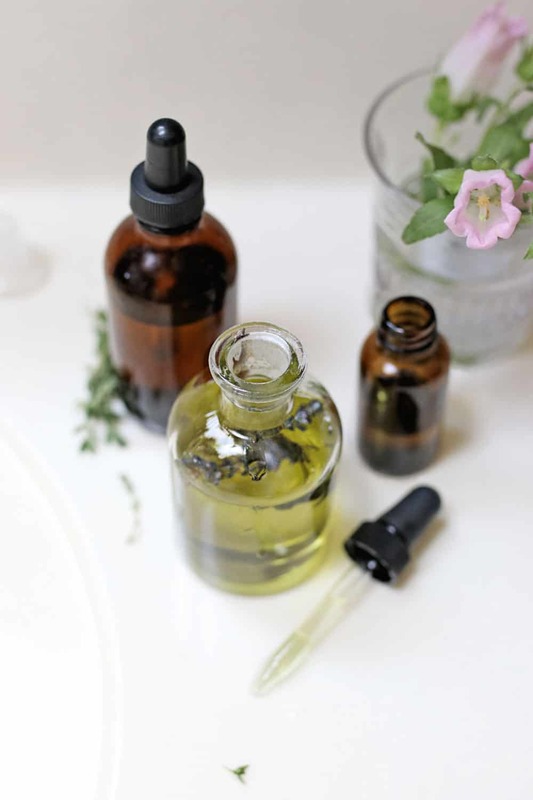 and finish with a DIY healing body oil. It’s that easy. Here’s how to get the benefits for yourself. Dry brushing is one of those rare daily routine things that just feels good when you do it, and the soft, glowing skin is an added bonus. Because it’s so energizing, it’s the perfect addition to your morning. Not much time in the mornings? Don’t worry, the process is simple: brush, cleanse, and then moisturize like crazy. Sometimes the easiest routines really are the most rewarding, no? When it comes to softer, more even skin, dry brushing is your best friend. Not only is it amazing at exfoliating dead skin cells, it can temporarily reduce the appearance of cellulite, clean out pores, and prevent razor burn. To do it yourself, start by choosing a firm, natural bristle brush (one with a handle is great for reaching the back, but not necessary). Start at your feet, and brush in long, smooth strokes toward the heart. Repeat the same process with the arms and back. When you reach the stomach, gently brush in small counterclockwise circles. Since skin can be tender in certain spots, don’t brush too hard. A soft stroke works best! Your skin may be slightly pink after brushing, but it should never be red or inflamed. Once you’ve sloughed away dead skin, a gentle, nutrient-rich cleanser is a must for avoiding dry skin. I’ve started using Cetaphil Body Wash pretty regularly. I have super sensitive skin, so I’ve found that I need something gentle to cleanse and moisturize without clogging pores. 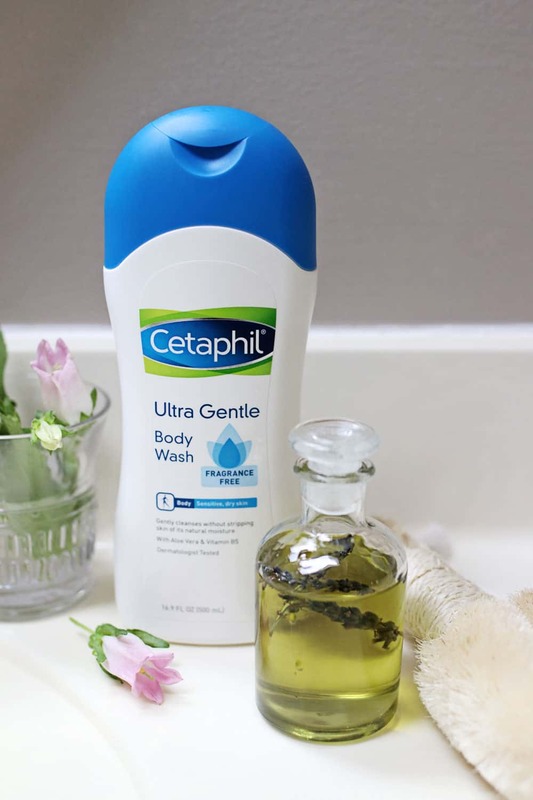 Along with dry brushing once a day, Cetaphil Ultra Gentle Soothing Body Wash is really all I need for the best skin I’ve ever had! Cetaphil Ultra Gentle Soothing Body Wash was formulated to cleanse skin without leaving it feeling parched. Chock full of things like aloe vera, marigold flower extract and B vitamins, it doesn’t strip the skin of its natural oils like other soaps. Plus, it’s dermatologist tested and hypoallergenic—making it perfect for sensitive skin. Have more sensitive skin? I also use the Ultra Gentle Fragrance-Free Body Wash, which gently cleanses and replenishes for all skin types, including sensitive and dry. It’s such an integral part of my routine, so I always pick up a couple Cetaphil body washes from CVS whenever I’m stocking up on bath and body supplies. Needless to say, I’m addicted to my bath products. I get a kick out of wandering the aisles at CVS and throwing new products in my basket, but I always end up going back to my Cetaphil staples because it’s so gentle on irritated skin. CVS carries the entire range of Cetaphil body cleansers. They place them front and center in the soap aisle, so it’s easy to find exactly what I need without wandering the whole store. 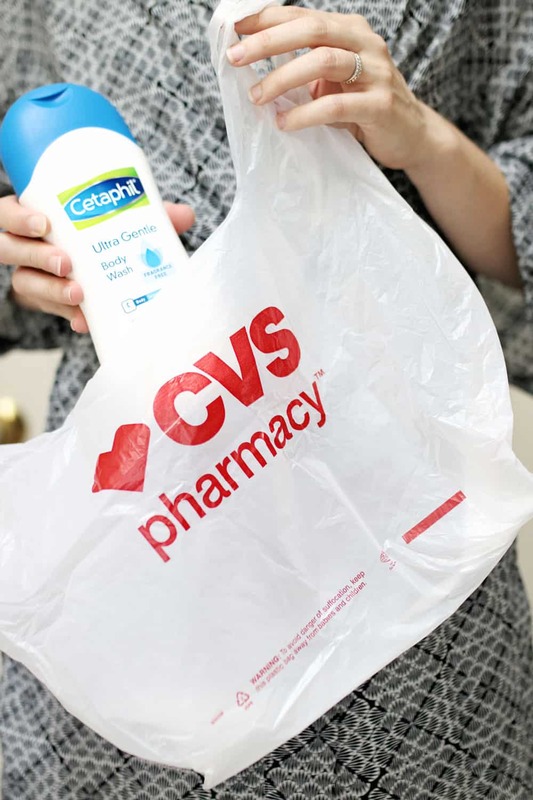 Plus, CVS is running a sale now so you can save $2 off any Cetaphil Body Wash. When you’re first starting out, dry brushing can be a “shock” to the system. I love following it up with a nourishing body oil to lock in that moisture after showering. I’ve found that sesame oil is one of the only oils that makes my skin feel supple without the greasy after-effect of other oils. Plus, it’s loaded with vitamins E and D, B-complex, antioxidants, and fatty acids. Toss in a little argan oil to soften the skin and extra vitamin E to surface radicals. Last but not least, frankincense and lemongrass oils help fight the signs of aging. Pour all ingredients into a glass amber bottle and store in a dark, cool cupboard. 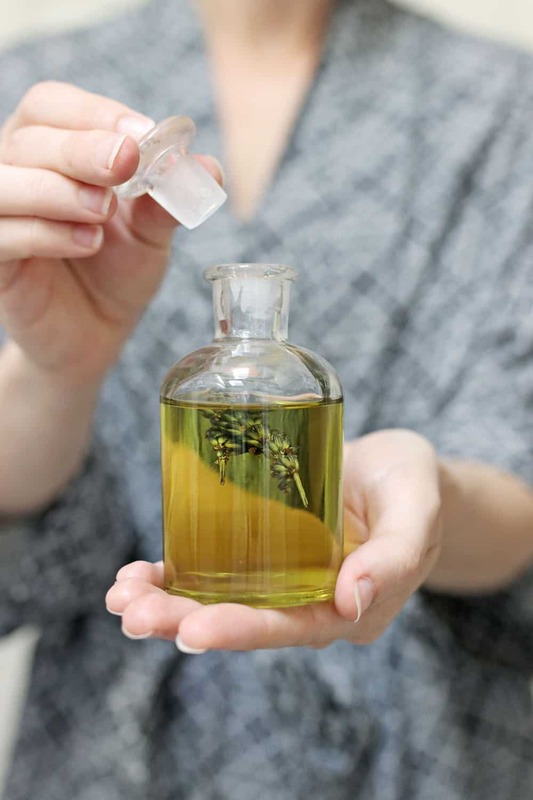 To use, shake the bottle to blend the oils and apply liberally to damp, freshly cleansed skin.